As designers, you know how it goes with dealing with clients. They ask for a logo design. You give a logo design. They want to add more oomph. You wonder what oomph means. You revise. They want to make it pop. You use bright colors to the point that it evokes the era of HTML web. They like it. I know I’m exaggerating a bit but the situation above has a grain of truth in it. Designing for a client, especially for one who is not so familiar with the rules, can be a chore. For instance, they want to have multiple concepts so they can pick the favorite one. They may even require you to create several revisions on a whim. The question then is how many logo concepts should you present your clients? I think the right answer, and a lot of professional designers would agree, is you should only present one concept. This may seem counter-intuitive but the more choices you present to your clients, the more difficult it is for you and for your client. Consider the following scenario. Think of your client as someone looking for a drink at a vending machine. 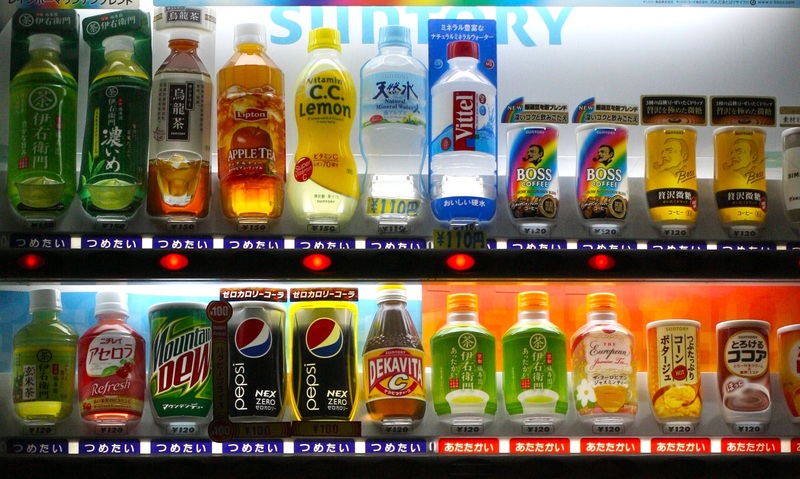 The vending machine presents a variety of choices. If the person did not have a particular flavor in mind, they would be overwhelmed by the amount of drink options alone. The line behind the vending machine grows longer. Less sales income for the vending machine. More thirst for the client. In the same vein, the client will be overwhelmed by the amount of ideas that you present. Especially if you have too many great ideas with varying design directions, you are unwittingly creating a difficult situation for both you and your client. A frustrating one. In the end, the client may not be able to choose. They may want an element from one and the color from the other. You will end up of a mashed up logo parts that never really hit the target of your client’s business. The thing is, clients themselves may requests for multiple concepts for their logo and we can’t really fault them for that. They expect it. For a long time now, they have been conditioned by unprofessional designers and their practice to expect multiple options from designers. Sites that offer five dollar logos make it seem like this is the common practice for the industry. [Unprofessional designers] are not competent enough to establish a process that delivers a single, most effective concept and instead erroneously subject the client to a design decision (for which they are not qualified) and cater to the subjective, preferential whim of the client. In the end, we are responsible for the change we want to see in our clients. How many concepts do you usually present your client? Tell us your thoughts below!